I have an order for an Esprit canoe. The Esprit is a 13' solo "Freestyle" canoe. The first step is to prepare the stems. This involves milling the stock and steambending them to the required shape. I have been having good success using local Green Ash, air dried. 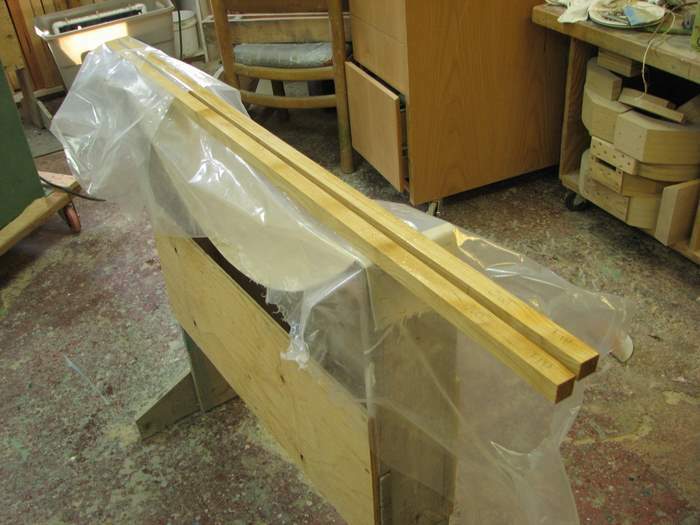 Here are two pieces that have been wetted and wrapped so that the wood picks up some extra moisture. I swapped out the larger steambox that I use for the ribs for this smaller one. This ensures more hot steam is in contact with the wood. 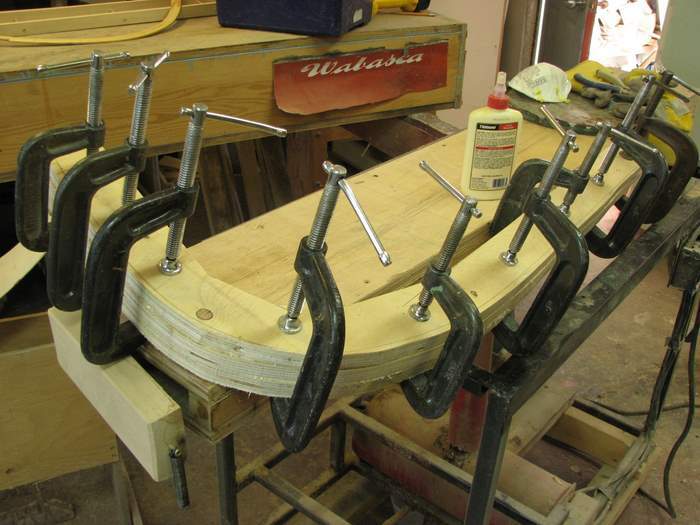 The bending form and clamps are all at the ready. However, steambending is not a guarantee of success, both of the pieces failed. This sometimes happens. This time it looks like the fibers failed, perhaps the wood was "over cooked". I have two more pieces prepared and I will try again today. 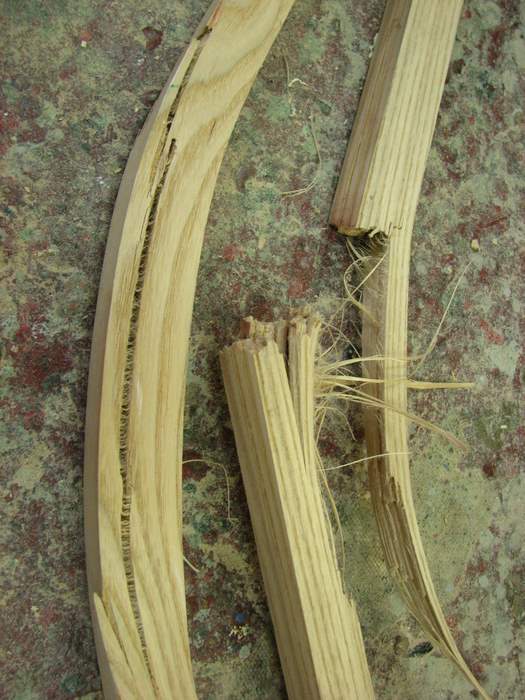 Sometimes you get lucky with your stock of wood as it nearly guarantees success, sometimes not. That is the nature of woodworking, and it is the nature of craftsmanship to expect it and to not get discouraged when it happens. I don't go to the casinos to gamble-every day at work is a gamble. 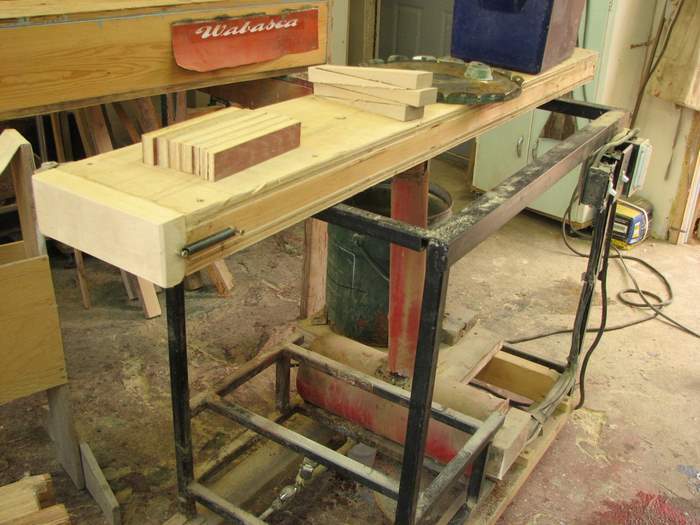 And, just in case, "Plan B" is to laminate new stems. 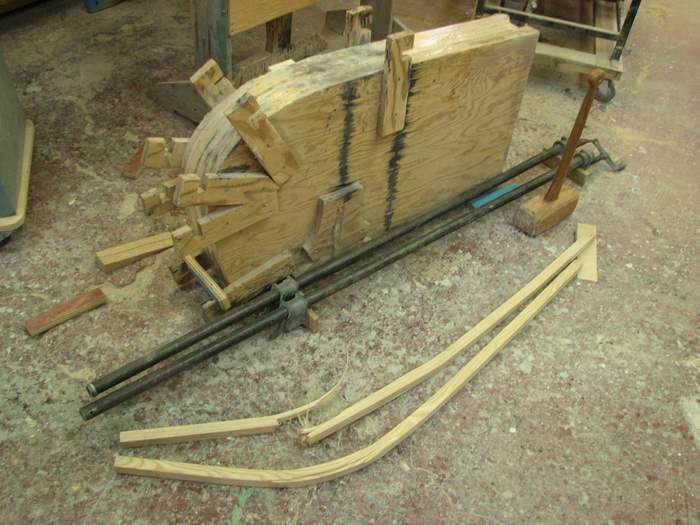 Here is the first part of the laminating jig being prepared. Posted by Doug Ingram at 9:01 a.m.